Even though some parts of the country have experienced their first frosts, many parts are still experiencing warm temperatures due to climate change. The bugs are still out there, and we all know how nasty and toxic traditional bug spray can be. Thankfully, California Baby has an aromatherapy blend you can trust. 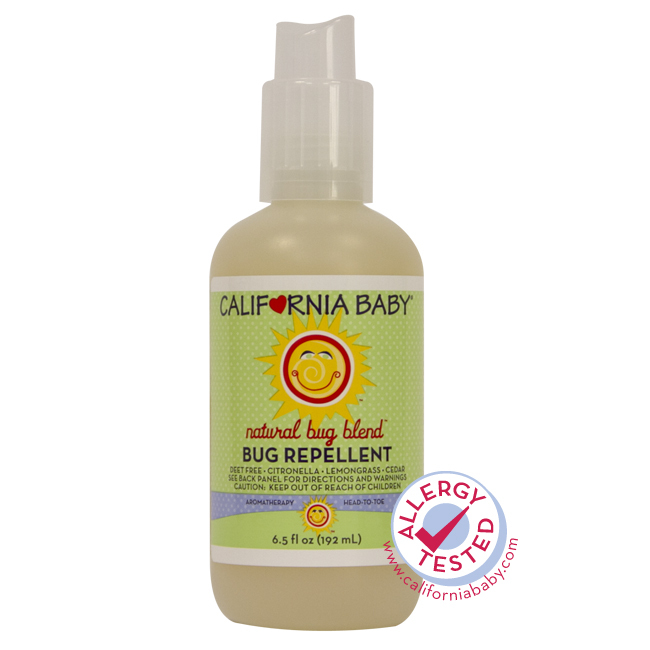 A natural alternative to toxic bug repellent chemicals such as DEET. We use only high quality, traditionally recommended bug repellent oils that are gentle and effective. Our natural formula contains pure essential oils like citronella and lemongrass, which are well known for their effective bug repellent properties. When I first started recommending products, I learned a lot about ingredients from our readers. I quickly learned when to trust the words “natural” and when not to. California Baby was a brand recommended by a reader, and I have forever considered it trustworthy and my fall back brand when I need to purchase gentle products for my son’s sensitive skin. Manufactured in a solar-powered facility, tree free labels, organic, etc…what more could you want? Thankful that this product has came out. It’s good for those who have sensitive skin. I would recommend it to all my friends.